Superstorm Sandy hit the East Coast, battering homes and businesses in 8 Girl Scout Councils, quickly mobilizing Girl Scouts from our youngest Daisies to our high school Ambassadors into action. Troops continue to collect needed items, offer support and make donations to help those most in need. Girl Scouts like Jordyn of Brownie Troop 60312, who after helping her mother, a nurse, at a shelter, gathered her sister Girl Scouts together to create the “Make a Difference Movement.” The project challenged to community to help in any way possible. 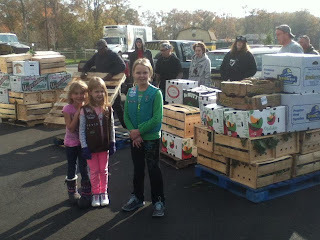 The Girls visited each produce broker at the Vineland Produce block with the challenge and with the help of adult volunteers collected over 4,000 pounds of food for those in need. The three Girl Scout Brownies bagged 300 pounds themselves for a food pantry in Franklinville, before having the rest delivered to the Community Food Bank in Atlantic County. Troop 80884 from Piscataway found support from their pen pal troop in Wisconsin, Troop 7300. A relationship that started when two Girl Scouts met on vacation and connected their troops for letter writing, blossomed into support, when the Girl Scouts in Wisconsin called to see what they could do. The two troops quickly decided that blankets would be needed as the cold weather moved in. 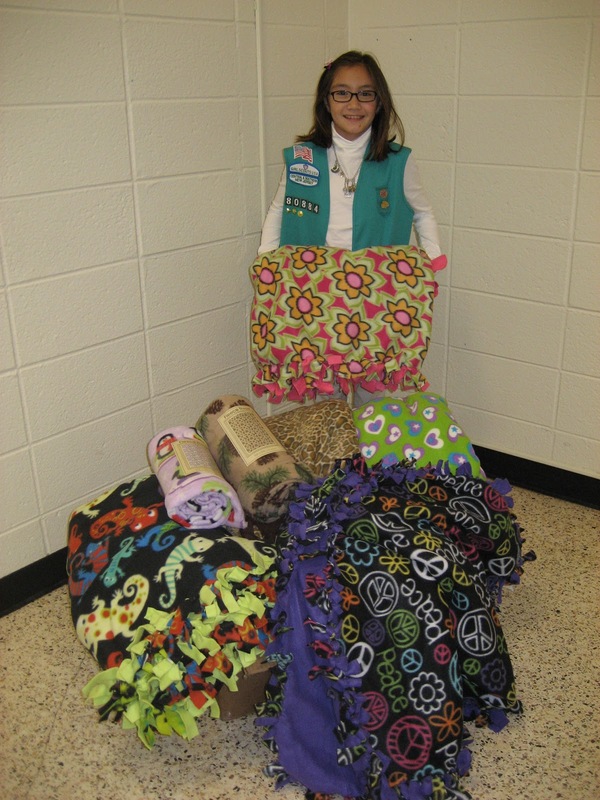 Expecting the Wisconsin troop of 8 girls to send one blanket each, the NJ girls were shocked when they were informed that 60 Girl Scouts in Wisconsin helped with the blanket drive, making blankets and collecting new and gently used blankets. A delivery truck was rented, and extra space filled with non-perishables to be sent to NJ. 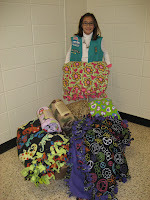 Troop 80884 plans to send the items to local relief organizations, including animal shelters affected by the storm. Even our youngest Girl Scouts are taking action; Daisy Troop 62222 collected over 200 coats and winter accessories to donate directly to families in Breezy Point where an estimated 150 homes were completely destroyed. These Daisies, in grades K-1, created their own flyers and visited local homes with adult volunteers. Even at the Council level, support is available for those in need. As each of GSCSNJ’s three service centers reopened, charging stations along with warm beverages where made available during business hours. Cases of water and firewood were available free of charge at the East Brunswick service center, and the council is accepting monetary donations online for a Hurricane Recovery Fund for Girl Scout relief efforts. “Girl Scouts have always, and will continue to take action to help the community. We pride ourselves that when there is a need, our girls from kindergarten to high school will find ways to support their communities,” states CEO Mary Connell.